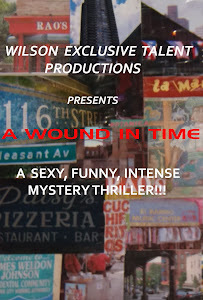 A WOUND IN TIME: A WOUND IN TIME POSTER COMING SOON!!! A WOUND IN TIME POSTER COMING SOON!!! OFFICIAL POSTER FOR AWIT COMING ANY DAY NOW!!! THE MUSIC FOR "A WOUND IN TIME"